U.S. homeowners would prefer a smartphone-enabled, do-it-yourself platform for home automation over a closed, subscription-based system -- and in either case, they care a lot more about security and peace of mind than they do about saving on their energy bills. These are some of the findings from a survey released Wednesday by home improvement giant Lowe’s, which asked 2,000 U.S. residents to rank their expectations of what a “smart home” of the future should look like. While very few Americans actually live in such homes, Lowe's is competing with companies like Staples and Best Buy, Comcast and AT&T, ADT and Vivint, Apple and Google/Nest that are all trying to supply the right combination of technology and service to break open the market. Many of the survey’s findings will come as little surprise to people who have been following the home automation industry over the past few years. For example, while utilities have been trying to get customers to engage in energy efficiency through smart home technology, Lowe’s survey finds yet again that security is by far the top reason why people want home automation, as shown in the following chart. The ability to monitor your home while you’re away ranks as the second most appealing feature of home automation, while cutting costs and lowering energy bills ranks third, right above general convenience and protection against fires, floods and other emergencies. This is a fundamental issue for home automation vendors like iControl and Alarm.com, which have found that people can be assisted in making energy-wise choices once they’re engaged in automation for security or convenience’s sake. Lowe’s has its own approach in the form of its Iris home automation platform, which integrates devices from vendors such as Honeywell, Schlage, First Alert, and Whirlpool through a hub that links with the home’s broadband connection. It’s a similar technology setup to many of the broadband-connected platforms on offer today -- but it also has some key differentiators. One big one is that Lowe’s Iris platform comes without monthly fees -- at least at first. Meagher described it as a “freemium” model, in which simple automation features come for free along with purchase of the smart home hub and add-ons like smart thermostats, door locks and light switches, while more advanced features can be had for a fee of around $10 a month. In either case, however, Lowe’s Iris customers can opt to drop the premium service at any time -- something that the subscription-based platforms being offered by cable, telecom and home security providers like Comcast and ADT can’t claim. According to the Lowe’s survey, that could be an important distinction. 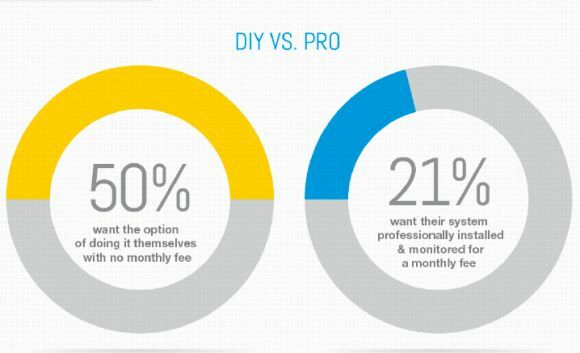 While half of respondents said they’d like a DIY solution without monthly fee, only 21 percent said they’d prefer a professionally installed and monitored system that comes with a monthly fee, according to the data in the following chart. 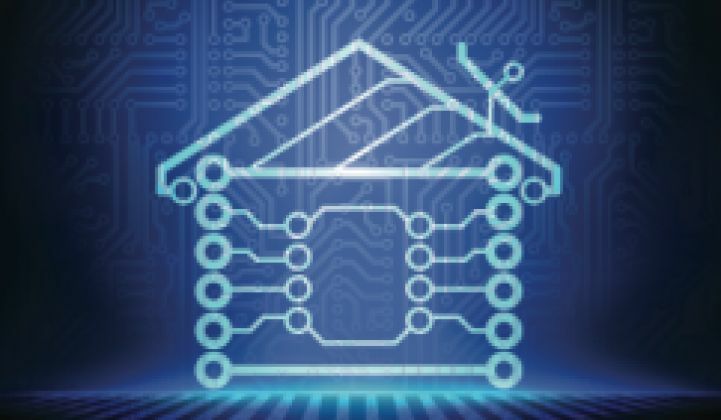 That fits into the broader issue of cost, which remains the key issue for people considering smart home technology. Lowe’s found that 56 percent of respondents cite either cost or fees as the most important deciding factor, with 31 percent focused on monthly fee amount and 26 percent on cost of equipment. Ease of use was the third most important consideration at 13 percent, although Lowe’s noted that this figure doubles for people over 65 years old. As for how to define convenience, the Lowe’s survey found that 70 percent of respondents “wish they could just control something in their home from their mobile device without getting out of bed” -- a fairly appealing concept to anyone familiar to the feeling of remembering that they forgot to turn off the downstairs lights or lock the back door only after they’re tucked into bed. Besides bed, the main place people want to be able to control their home from is somewhere far away from it. Nearly two-thirds of respondent said they would like to monitor their children coming home from school, for instance, and more than half admit that they frequently forget to turn off the lights, lock the doors or reset the thermostats when they leave home, making a case for simple “home vs. away” settings that can take care of those tasks, and maybe save some energy at the same time.